Hey guys, we have a great surprise for all Avengers Infinity War Iron Man and Robert Downey Jr fans. Grasp his style in just one click. 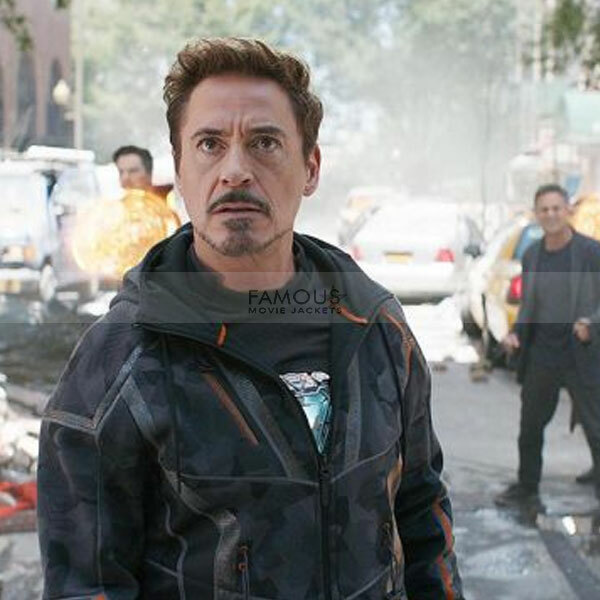 In the above screenshot of Avengers Infinity War, Iron Man looks too tempting. Robert Downey Jr depicted the role as Iron Man in the movie. Because of the impressive personality and amazing acting skills he has a large number of fans around the globe. This Robert Downey Jr Iron Man jacket is made of 100% pure leather material which is authentic and durable at the same time. This is not it but we also take care of the comfort of our customer providing viscose material as an inner fabric. The jacket has got appeal which one dream of. The lustrous black color and orange detailing on it make the outfit a perfect package of grace and style. The jacket really doesn’t need anything to attract the audience but an inner confidence and pair of jeans with it. 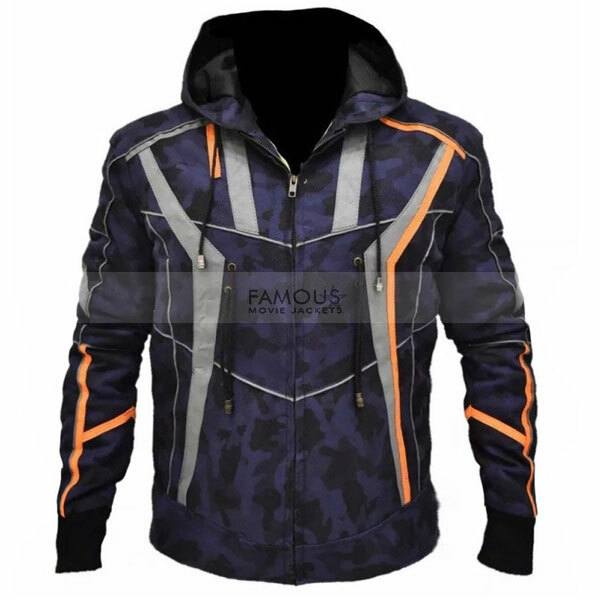 Must grab this latest fashion piece before any of your friends does. Pockets: Two Pockets Externally & Two Internal Pockets.